Home » Latest Cancer News » What’s different about SPDT 4 LIFE? According to the latest studies, cancer is now so common that 1 in 3 men and 1 in 4 women, either have, or will develop the disease. Being that experts say that approximately 90% of all cancers are lifestyle induced, that number is predicted to increase to 1 in 2 – for both men and women – in the not too distant future. Shocking statistics, that unless steps are promptly taken to correct the lifestyle choices linked to cancer, will only get worse. 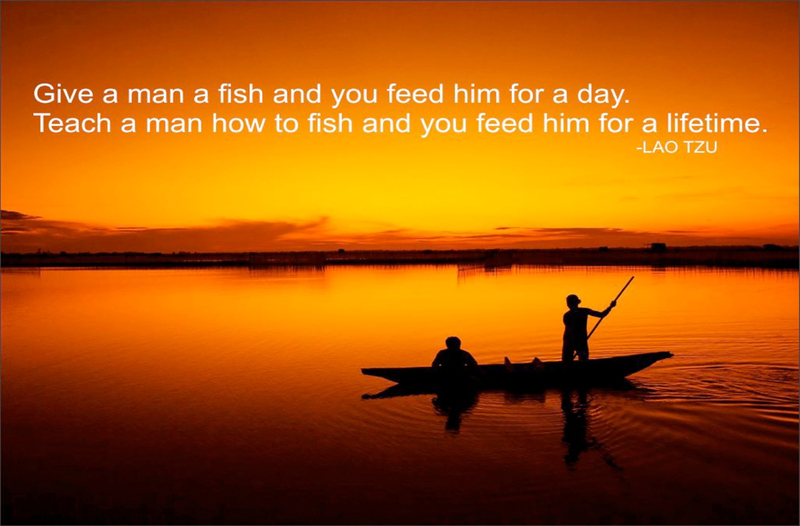 It must start with education, teaching people what to do and what not to do. Very few hospitals or cancer treatment centres put any time, resources or energy into educating their patients about cancer and we see this as a missed opportunity and a mistake. We feel it is so important to not just treat a patient and send them back into the world to make the same mistakes as before – not really understanding the process or why we do what we do. Instead, we aim to explain everything in detail and make ourselves available for any questions patients may have. To that end we are currently developing a comprehensive manual for our patients, built on the latest evidence-based science and with strict guidelines to follow, so as to give them the best chance of defeating and staving off the disease. We are also putting together our Patient Advocate Network (PAN). Using the resources of PAN we will follow up and maintain contact with our patients, checking in on them and offering them the support of our holistic therapies network, to ensure they are doing everything they can to achieve and maintain optimal health. This is unique to SPDT 4 LIFE and something that we are immensely proud of. We are unaware of any other cancer centre anywhere in the world that takes this advanced approach. There is still so much more about SPDT 4 LIFE that makes it stand out amongst the many hospitals and cancer facilities around the world. Too much to mention here – but in this newsletter we have room to mention one other new and exciting feature exclusive to SPDT 4 LIFE. We are proud to announce that we have partnered with a highly experienced, multi-award winning travel agency “helloworld Rowville”, to assist and guide our VIP patients and carers through the required travel and visa arrangements, involved with travelling to China for treatment. Read more about this exciting partnership below. 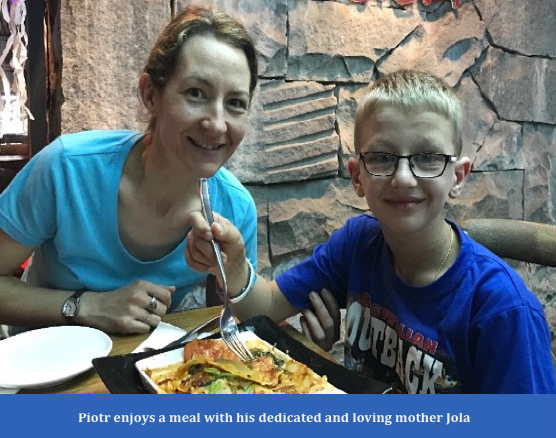 We also share with you the heartwarming story of Piotr (pronounced Peter), a young patient from Melbourne, who travelled with his mother Jola to SPDT 4 LIFE in China to receive treatment on his brain tumour. Piotr is doing incredibly well and has returned home to enjoy his life as a normal healthy 9 year old. We could not be happier for Piotr and his family. For the social media inclined, please “like” us on Facebook and follow us on Twitter @SPDT4LIFE and Instagram SPDT4LIFE. “Do the best you can until you know better. Then when you know better, do better.” – Maya Angelou. Words to live by. In the darkest of times we often start to question many things about this world. Like why do these things happen to us? Unfortunately the answers are not always clear and in many cases there simply is no good answer. But in order to cope, move forward and overcome, we must focus and find strength in whatever ways we can. 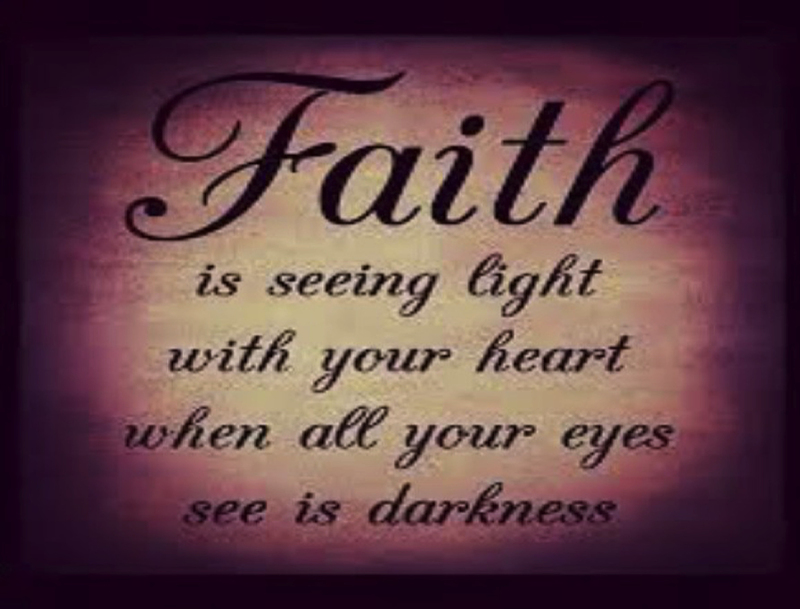 For some, this strength and faith is found in religion. Jola – a dedicated and loving mother from Melbourne is one such person. In April, 2016, while the autumn winds changed the colors from dark green to golden yellow in Melbourne, Jola worried a lot about her son’s disease. “How did this happen? What should I do?” Wandering in the front door of Saint Peter’s Basilica, Jola knew that her son, little Piotr, couldn’t go through any more suffering. Six years earlier – at just 3 years of age – Piotr had been diagnosed with nasopharyngeal cancer and now Piotr was again diagnosed with more cancer – glioma – a 4 centimetre tumour on his brain. The tumour was quite large and was causing Piotr terrible headaches. At times the headaches were so severe that Piotr could not even walk. Sadly, the doctors in Australia had told Jola that they had to operate to save her son’s life. Yet they were not sure that the tumour could be completely removed, so they also recommended that Piotr be treated with strong chemotherapy and radiation. Jola was deeply concerned that Piotr’s tiny body couldn’t bear any more of the grueling treatments that doctors suggested to remove Piotr’s tumour. He had already suffered through debilitating surgeries, radiation and chemotherapy and Jola simply couldn’t see how Piotr – or she – could go through that again. In her quest to find answers and a better way to treat Piotr’s cancer, Jola came across a doctor that told her of a new kind of non-invase, non-toxic therapy called SPDT. She was told that SPDT was available in China and could be just the thing she was looking for, as it had proven to be very successful for so many others. Most importantly to Jola, she was told it was a pain free process. But still, as an ever concerned mother worrying about her sick child, Jola had her doubts. “Will this new technology work for Piotr?” It was very difficult for Jola to make the decision. She felt she needed to consult a higher power and asked God for guidance. As Jola entered the church, she made the sign of the cross and then spoke to God of her dilemma. This epiphany is still vivid in Jola’s mind, as she recounts the events of that significant day, from the room she shares with Piotr in the Golden Sand Bay Hospital in Guangzhou, southern China. As she tells it, in April 2016 Jola took Piotr to China under the guidance of God so as he could receive the SPDT treatment. Once at the SPDT 4 LIFE cancer treatment center, a professional team of doctors did a comprehensive examination of Piotr’s condition and tailored a personalised treatment protocol for him. Though nervously concerned and far from home, Jola’s confidence grew once she met the medical team and experienced first hand their professional and considerate nature. A month later her faith was completely restored when after the second cycle of treatment, the assessment on the 22nd of June showed that the size of Piotr’s tumor had shrunk significantly and his tumor marker had decreased to 16.29 – returning to the normal healthy range. More great news followed after the third round of treatment. Tests done on the 17th of July showed that the tumor marker had dropped again to 11.95 and the size of the tumor shrank remarkably from 26×38.7mm to 12x10mm. Jola was euphoric. She felt that her faith and the decision to let herself be guided by God – which had lead her to SPDT 4 LIFE in China – was more than justified. Jola’s next move was to contact the world renowned Sydney based neurosurgeon, Dr. Charlie Teo, to see if he would operate and try to remove Piotr’s now reduced tumour. Thankfully Dr. Teo agreed to see Piotr and after a thorough examination of his improved state of health agreed to perform the surgery. Jola proudly tells us that Piotr’s surgery was a resounding success and that his latest test results show there is no detectable cancer. 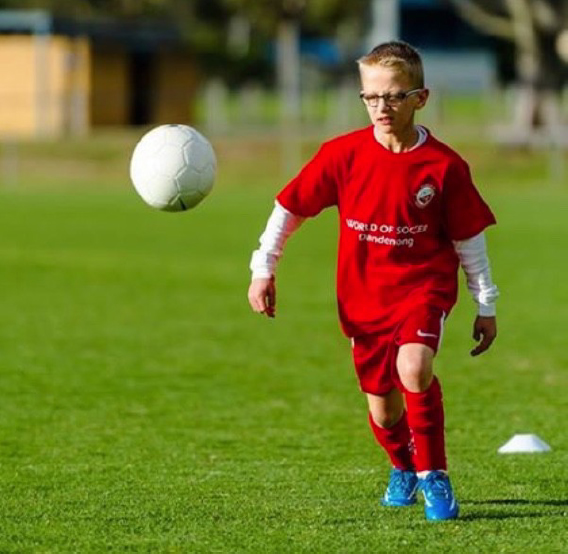 He is growing healthier and stronger with each passing day and most importantly for Piotr – he is now able to play his beloved football. Jola thanks God every day and keeps her faith, as now her precious son is healthy and he and their family can return to their normal happy way of life and enjoy a glorious Melbourne summer. Jola and the doctors will continue to monitor Piotr’s condition and the mother and son will once again return to SPDT 4 LIFE for some maintenance treatment, to ensure this beautiful young boy remains cancer free. We look forward to seeing their smiling faces in the halls of our treatment centre and feel privileged to be able to play a part in such an amazing success story for this wonderful family. At SPDT 4 LIFE we understand that having cancer is a stressful and difficult time for patients and their families – and that this can be further compounded by having to travel to China for treatment. As such we are always looking at ways we can help to reduce that stress and offer assistance to our patients and their families during these times. In an effort to make the process of travelling to SPDT 4 LIFE as easy as possible, we are proud to announce that we have partnered with one of Australia’s most awarded travel agencies – helloworld Rowville – to guide and assist patients & carers with all their visa, travel and insurance related requirements. The team at helloworld Rowville have had decades of experience in all facets of travel and are extremely friendly, caring and professional. helloworld Rowville is located at Shop 105, 1091 Stud Road, Rowville Victoria 3178. Phone: +61 3 9764 8487. The helloworld Rowville team are familiar with the procedures and protocols of SPDT 4 LIFE and what is required when travelling to China. Most importantly they are compassionate and understanding of the circumstances under which our VIP guests are travelling. This can give great comfort and confidence to patients and their families, at a time when they have far more important things to focus on. Being able to hand all of this process off to an experienced and understanding team, so that you have one less thing to worry about, can be a godsend. In addition to making sure that everything our patients need is in place for their trip, helloworld Rowville can also help with any sightseeing, accommodation or travel arrangements patients and carers may need whilst in China. Patients have planned “time off” between cycles of treatment and often choose to take this time to get away from the hospital and explore other parts of China. Macau and Hong Kong are also popular destinations. Having an experienced travel agent who speaks English and is able to take care of your travel needs whilst in a foreign country is invaluable. Being able to send an email or pick up the phone and just get things done is a relief and comforting to many. We are happy to be able to make this process easier for our cherished patients and give them one less thing to worry about. 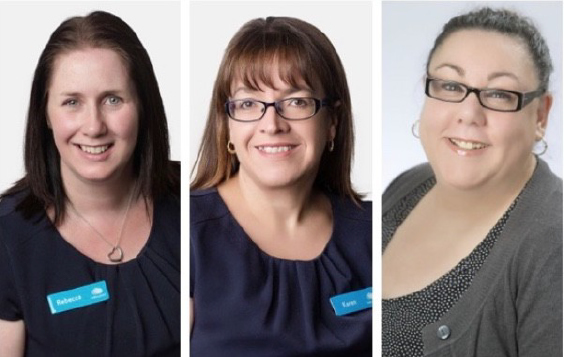 The team at SPDT 4 LIFE are proud to be associated with helloworld Rowville and together we look forward to supporting and assisting our VIP patients and their loved ones for many years to come.